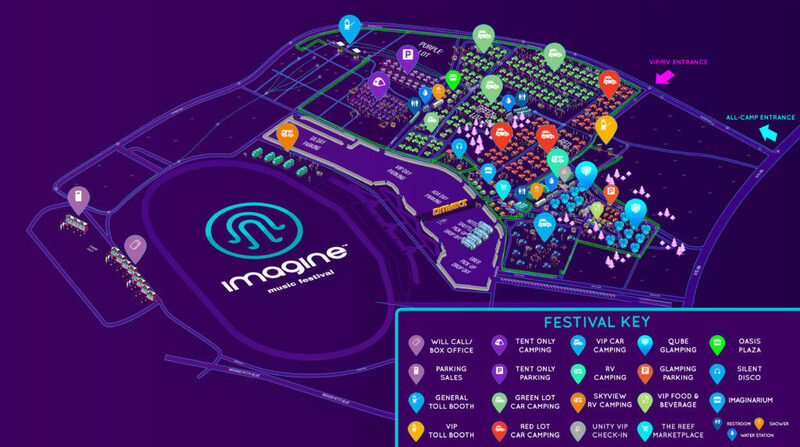 (Atlanta, Ga) Imagine Music Festival has released the official preview map for the festival campgrounds. 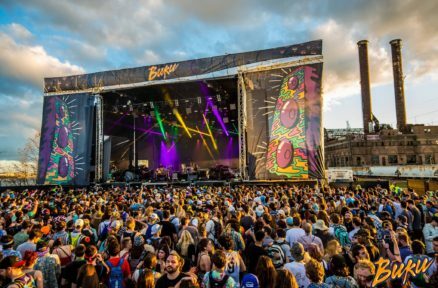 Now you can take a look at the layout of the camping areas and plan accordingly to make sure your arrival to the festival goes as smoothly as possible. The campgrounds for 2018 will feature two GA car camping areas, plus a new and improved VIP camping experience. With the 2018 campground map revealed, there’s still time to pick your camping style and grab a camping pass. You can purchase camping passes here. For those who have been through a camping festival, there are times where some extra supplies are needed. It is also extremely easy to leave a few essential camping items at home. This year, campers at Imagine Music Festival will not have to worry about that. Unity Travel just launched their Imagine Camping Essentials Shop! This is ideal for those of you who are taking a long road trip or are flying out for IMF weekend, and can’t spare the extra space for travel. You can purchase your camping necessities online and pick them up in person when you check-in to the campgrounds. If you have reserved a QUBE Tent, Unity Travel will set up the merchandise you purchased in your tent for you. Just make sure the names match on your QUBE order and your camping supplies order. Speaking of QUBE tents, they are almost sold out. Act soon and reserve your QUBE tents before the prices go up. With a QUBE reservation, your tent will already be set up when you arrive. You also get placement in the VIP Camping area. That’s right, all the special VIP camping amenities, even for those of you who have GA Camping passes!